Rick's Pocono Blog: Summer Time in the Poconos. Who's Coming?! Spring is here in the Pocono Mountains, and that means that Summer Time is right around the corner. Summer in the Poconos is that time of year that brings thousands of people to the Poconos every year. 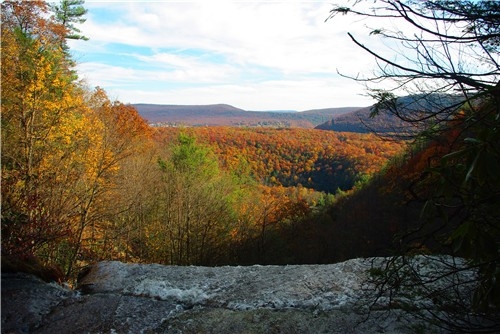 Bringing Travellers to the Poconos allowing them to explore 261 miles of hiking and biking trails, 170 miles of winding rivers, and over 2 dozen Golf Courses. For Beautiful, Cool, and Refreshing Summer Fun in the Poconos, find yourself Sailing, Boating, Water Skiing, or Jet Skiing on one of the Crystal Clear Lakes and Rivers including Lake Wallenpaupack which is one of Pennsylvania's biggest lakes. Summer is a time when the Pocono Mountains comes to life with Family Fun Parks, Pocono Resorts, County Fairs, and Concerts. You can watch the Fireworks light up the Sky over the Mountains on The Fourth of July at a Pocono State Park or right out your backdoor in a Pocono Mountain Community. Some Communities offer their very own Summer Time Amenities including Lakes, Heated Pools, Community Festivals, and Fishing. The Poconos is home to Waterparks at The Family Fun Pocono Resorts Split Rock or Camelback Mountain ( CamelBeach). Escape back to nature on a Canoeing, Rafting, Fishing, or Camping Trip. Summer in the Poconos brings in the Nascar Fans for the Yearly Races at Pocono Raceway in Long Pond Pa. Nascar comes to the Poconos 6-10-12 and 8-5-12! Who's coming to the Poconos This Summer! ?